Legendary band The Distillers have returned with their first piece of new music in 15 years, ‘Man vs. Magnet’. Earlier this year, The Distillers excited their loyal fanbase by announcing they were returning to the world of music after a twelve-year break. Soon, the band announced a series of comeback performances, which kicked off back in April. Taking to Instagram after the band’s first show since 2006, Aussie frontwoman Brody Dalle shared an emotional post on Instagram which highlighted her excitement at the reunion. Now, the group have taken the next step in their reunion plans and released their brand new single. Titled ‘Man vs. Magnet’, the track only had its live debut two nights ago, when the band performed it in Vancouver, Canada. Their first piece of new music since their 2003 album Coral Fang, fans are already loving the band’s return, with the new track sounding like they never even took a single day off. The track is also accompanied with ‘Blood In Gutters’ as the B-side. If you think that track sounds a little familiar, then you might remember it from when Brody Dalle released it on her debut solo album, Diploid Love, back in 2014. 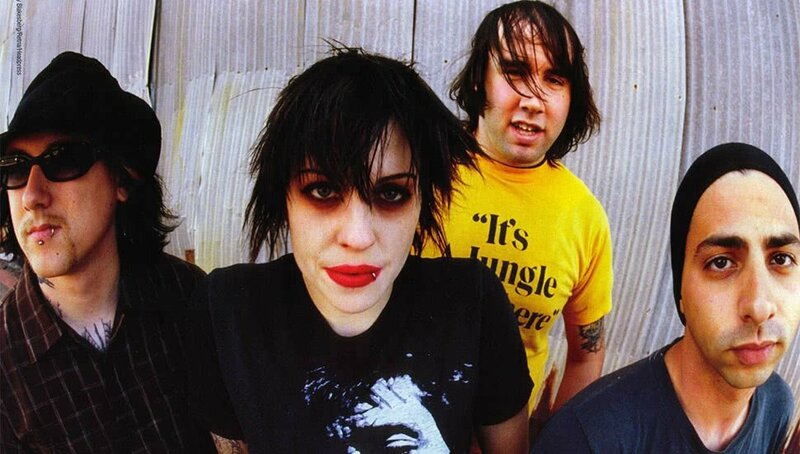 At this stage, the band haven’t made any official announcements in regards to whether or not we’re going to be receiving a new album from them, but if this new single is anything to go by, we’re incredibly excited to see what The Distillers will offer on their return. It’s been four years since Queens Of The Stone Age’s last album, “Like Clockwork”, wonderfully rewrote the rules on what a QOTSA album could and should be. 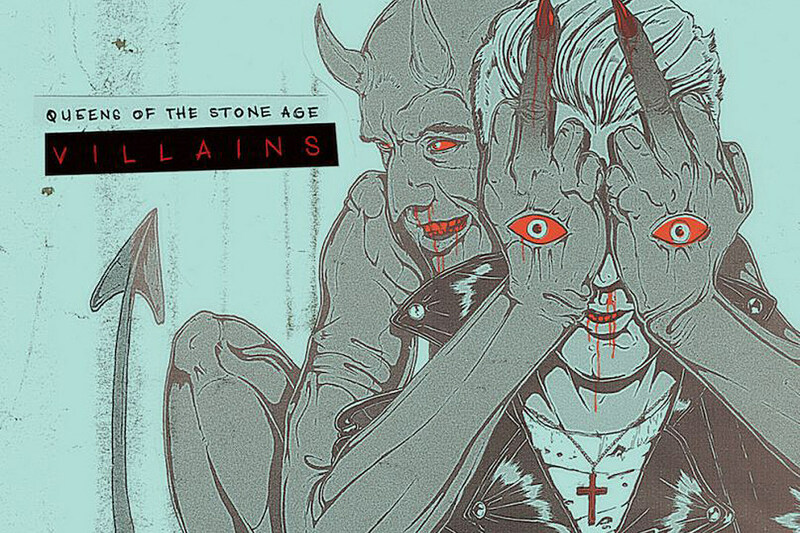 Now the band is back with a new record, “Villians” produced by Mark Ronson , Its full of synths, big rock beats and Josh Homme’s heavy-sweet vocals, Villains is not what you expect, which is what you should expect from them by now. The album is not released until August. 25th, but that doesn’t mean you can’t get a taste of what it’s all about right now. The First Single Is About Josh Homme’s Rocker Wife “The Way You Used to Do,” which roared out to announce Villains in June, kicks off with Homme’s honeyed vocal crooning, “When I first met her she was 17,” which would certainly be creepy coming from a 44-year-old Homme if it weren’t for the fact that he’s referring to the story of how he met his future wife. The story goes that 17-year-old Brody Dalle, then the front woman of an Aussie punk band, met 22-year-old Josh at Lollapalooza in 1996 where he was the touring guitarist for Screaming Trees . They wouldn’t meet again for seven years, but she clearly left an impression. He, of course, went on to form Queens, and she would go on to the Distillers, and some really good solo work. They married in 2007 and have three kids.